Free 45 minute consultation. Watch video below. You don't have to pick your suit out of a catalog. Watch video below. One stop shopping with the best tuxedo fashions and wedding suits so the guys will look great on your wedding day. We coordinate the wedding tuxes so each gentleman has a unique look to complement each other, the Bride’s Gown and wedding theme. Wedding suits will be sized accurately for the perfect fit by a professionally trained formalwear consultant. Baryames’ Local In-Stock Warehouse assures quality standards, on time delivery and a Best Price Guarantee. Searching menswear or department stores for matching tuxedos or suits in a range of sizes and cities is a logistical challenge - and often at least one groomsman is too large or small for the standard size offering. 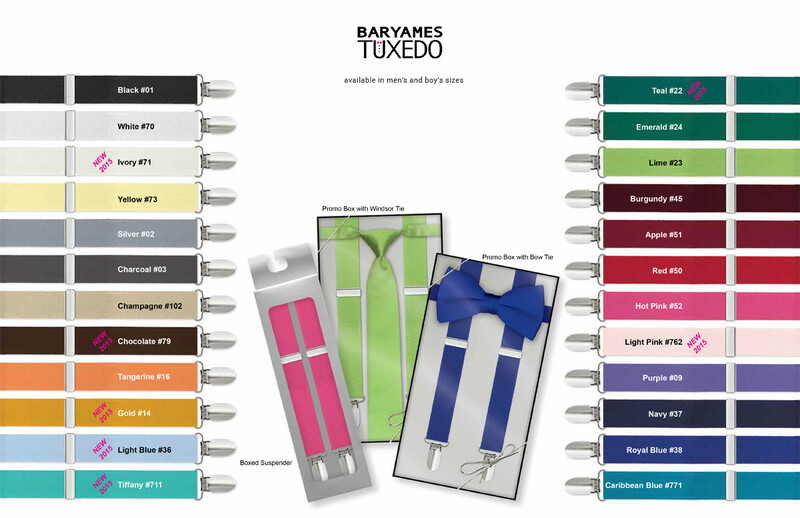 Baryames specializes in weddings with out-of-town groomsmen. The Local In-Stock Warehouse allows for quick exchanges and/or alterations….all the backup you need for the perfect event.